When it comes to swapping engines in a Jeep Wrangler, there are a few routes you can take for some seriously off-the-wall fun. The most obvious choice is probably a corporate-cousin Hellcat V-8—the fruits of which we at The Drive have highlighted before—but there are kits and guides for adapting the iconic Jeep everything from a Corvette LS1 to a Cummins diesel mill. 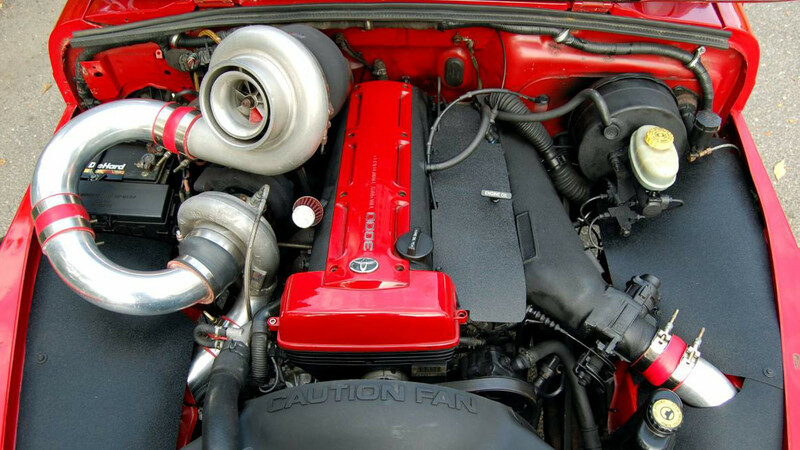 But a compound-turbo 2JZ-GTE straight-six out of a MKIV Toyota Supra? That's a new one. This unholy union—and we mean that in the best way possible—surfaced on Craigslist recently, with an eye-popping turbo setup poking through the hood like a periscope that's enough to make anyone do a double-take. Getting a regular 2JZ engine to work in a 1997 Jeep Wrangler is tricky enough, but replacing the normal twin-turbo system with a BorgWarner-Holset compound rig designed to eliminate turbo lag likely required a huge amount of custom fabrication. And money. Lots and lots of money. 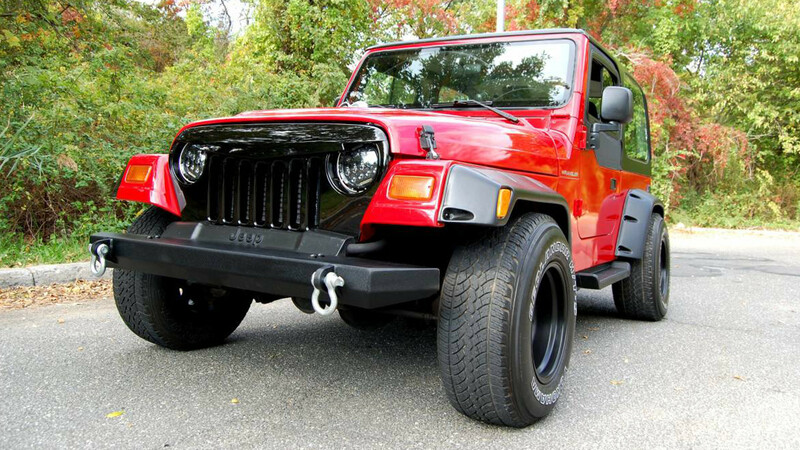 The seller claims a stock ECU and fuel system are the only things keeping this Jeep from putting down truly insane power figures. That might be true, but it's possible the axles tell a different story—the ad doesn't note whether the TJ came with optional Dana 44 or standard 35 axles, the latter of which would really struggle to hold it together with that much power. That could explain the welded rear differential and disconnected front. But even if that's the case, the bones are there for creating the world's unlikeliest drift champion. Either way, the rest of the build looks mighty fine. 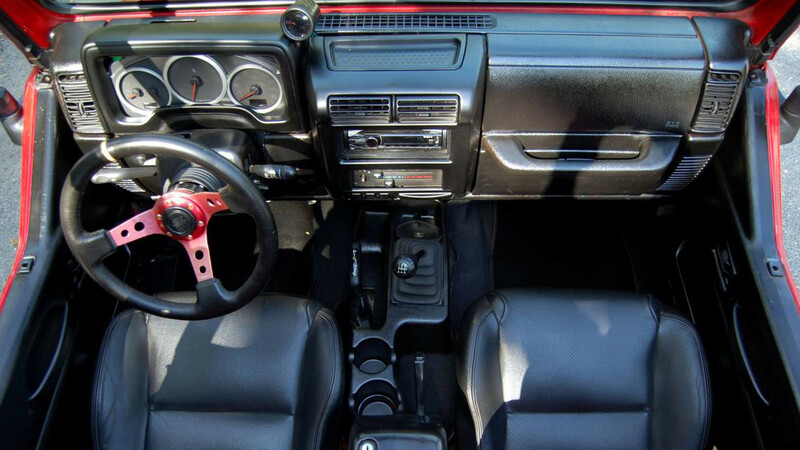 There's a quartet of racing seats from an Acura RSX Type S slotted into the interior, a new suspension to reduce the chance of flipping and killing yourself, some new Yokohama AT tires and Mickey Thompson wheels, a digital tachometer, and only 90,000 miles on the body and "much less" on the 2JZ. According to the listing, the only things wrong are missing heater lines, non-functional air-conditioning, and a gas gauge that needs to be wired up. 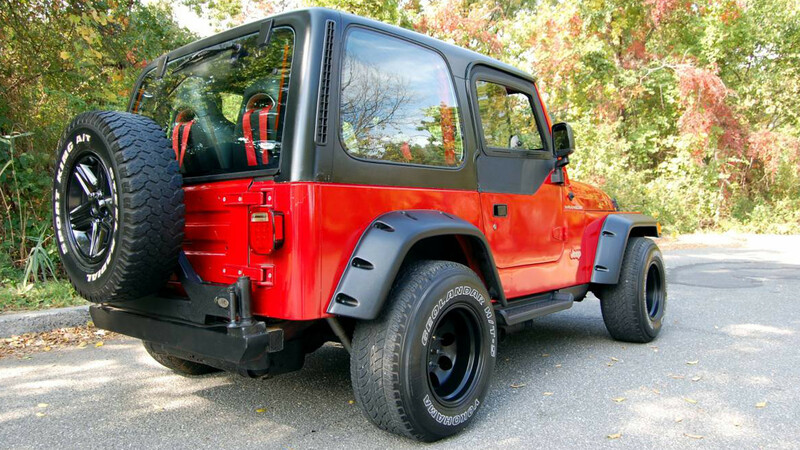 Is this 2JZ-GTE-swapped Jeep Wrangler worth $20,000? Considering the amount of cash that likely went into its creation, we'd have to say probably, but that's for the eventual buyer to decide. One thing there's no debating—it sure is one of a kind.